In Maryland, the music never stops, but it sure does heat up come summer! These great concert series are the perfect way to bring together good friends for good times, whether it’s reggae on the water, killer jazz at a vineyard, blues with a side of BBQ, or metal madness by the monuments. You’re sure to find the right series to cement your new Summer of Music tradition. Share your music experiences with us on social media using #MarylandMusic, and make sure to check out Maryland's Summer of Music lineup. Enjoy local and regional performers at these free concerts in the heart of historical Baker Park! From blues and swing groups to outstanding tribute artists, the concert series is a winner. In lieu of admission, canned food and cash donations will be accepted to benefit the Frederick Food Bank. 7-8:30pm. Maybe it’s all the sailors, but nobody knows how to throw a party like Naptown, and the Annapolis Maritime Museum’s Tides & Tunes Summer Concerts are the best bashes in town. Bringing great music to the docks along with signature concerts and amazing sunsets, Tides & Tunes is a can’t-miss great time. And with a different genre every week from June ‘til August, there’s something for everyone. This year, experience high-energy Irish rock with the Dublin 5, smooth funk and soul with Sweet Leda, folky island rhythms from the Eastport Oyster Boys, and more. For the thrill-seeking ski-nuts at Wisp-- how to you keep that awesome energy flowing when the snow is gone? Easy-- the Stage Wisp Concert Series, kicking off July 3 - the day before Fire on the Mountain, Wisp’s legendary July 4th fireworks display and concert - and going every Wednesday through August. Stage Wisp combines great music with great local produce at the adjoining farmers market, making this a one-stop-shop for good times and good grub. If you’ve never been to the Leonardtown, let the fantastic Leonardtown Smmer Music Festival seal the deal. 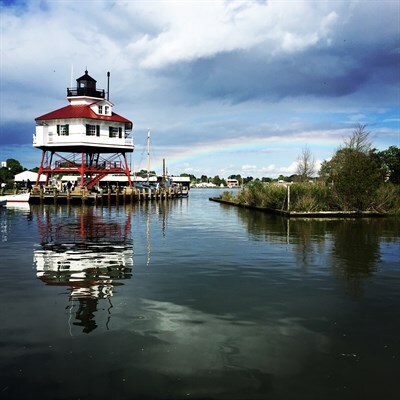 Enjoy great music in Historic Leonardtown’s charming 19th-century downtown district, nestled along the Breton Bay wharf. Split your time between dancing and paddling through the aquatic sanctuary. Oh, and did we mention the award-winning Port of Leonardtown Winery is just a stone’s throw away? For a lot of Marylanders, when they think summer on the lawn, they think of Boordy Vineyards, and their great concert series is sure to show you why. Eight epic concerts to Ladew, one of the top five gardens in North America. There is simply no more beautiful place for a concert than this topiary wonderland. If there’s something better than bluegrass in Maryland’s Appalachian Mountains, we’d love to hear about it. And from July through Labor Day, Oakland brings those sweet sounds of summer to Friday nights at the Mountain Fresh Pavillion for this beloved series 23rd year. The St. Mary’s College in Maryland waterfront may be the prettiest place on any college campus in America. Surrounded by beautiful, brick colonial buildings, lush Southern Maryland forests, and an idyllic sandy beach that slides gently into the head-waters of the St. Mary’s River, there’s some kind of magic in this place where bands are backed by windsurfers and kite-boarders and fronted by dancing kids and Labradors leaping after brightly colored frisbees. Held along the harbor in Baltimore’s picturesque Canton Waterfront Park, this sprawling, free, summer-long festival series features six bands on two stages each month from May through September, drawing an audience of more than 15,000 per show. Spread a blanket on the sand and cuddle up with your sweetheart. Find a bench to watch the kids grooving in the shallows. Or cut a rug on the bay-front boardwalk at this amazing free festival. Concerts on the Pavilion changes styles from week-to-week with rock, country, jazz and oldies filling out the dance card. For 27 years, this one-of-a-kind community of artists and artisans has been bringing unique music to their Great Hall. Focusing on a mix of classical music and American folk styles, the Spruce Forest is the perfect home for these enduring sounds. If you’re looking for the perfect way to unwind after a long summer work week, look to Maryland wineries. Marrying great Old Line State vintages with fantastic local tunes, Maryland wineries provide a perfect backdrop to get your groove on this summer. Head to our Wineries page to find events near you or in a new spot across the state.